There is a section of conservationists who treat animals as commodities. They want to conserve species in order to earn money from them. While there are many others, including me, who believe that conserving all species is equally essential because they have an intrinsic right to exist and flourish on this planet and perform their assigned duties to keep the planet going. Those who belong to the first group are least bothered about strengthening our effort to conserve tigers instead what they care about the most is to conserve a nature’s aberration -the zoo bred white tiger, by rehabilitating these highly genetically compromised decedents of the white tiger Mohan in the jungle Sanjay Tiger Reserve. Due to their uniqueness in appearance a white tiger is an extremely saleable commodity and that is why this pressure is building on. I had opposed this move and had sought the opinion of Wildlife Institute of India (WI)I. WII had opined that as the white tigers have no conservation value there is no point in propagating them in the wild. On the basis of this opinion the then State Chief Wildlife Warden (CWLW) had written to the government to drop the the proposal and the government had conveyed its concurrence to CWLW. Unfortunately, the proponents have again begun to spearhead this useless idea. Hopefully, this would never happen. Propagating animals with a number of double recessive genes that invariably manifest themselves in a myriad of deformities and diseases can never be part of any conservation effort. I will continue my campaign to thwart any such attempt in future. White tigers are better off in zoos- though most deformed progeny are exterminated after birth as they cannot be put on display and no businessman would spend a farthing on keeping such animals alive. There are research papers suggesting that the White tiger is an outcome of a base mutation in a single gene and therefore are not freaks but a variant of the royal Bengal tiger and therefore the white tiger deserves a chance to return to the jungles. I would have agreed to this idea had there been even a single white tiger anywhere in the world whose genes have not been excessively polluted from inbreeding. The Tiger Species Survival Plan issued by the Association of Zoos and Aquariums of the USA has condemned the breeding of white tigers. The problem is with the stock of white tigers available in captivity across the world in the zoos. Over more than sixty years the progeny of Mohan were subjected to incessant inbreeding resulting in accumulation of undesirable traits. Such specimen should never be introduced in the wild . 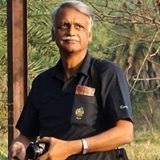 The Original wild tigers of Rewa might have been a robust variant of the RB Tiger that were able to survive in the wild till adulthood when they were either captured or shot but what we have today in zoos are storehouses of defective genes.One also need to understand what nature doesn’t want can never be natural. Nature has a method to deal with recessive genes – it either hides its manifestation by adding a dominant gene for same traits or replaces it with a pair of dominant genes. Nature invariably tends to eliminate a pair of recessive allele. The white coat colour manifested in the white individuals is due to the presence of a pair of double recessive genes and such individuals are rarest of rare in nature – represented by just about 0.001% of the tiger population.In India the problem of heavy inbreeding by zoos came to light when in 2008–2009, a survey of zoos revealed a stock of 264 Bengal tigers and 100 white Bengal tigers. These numbers clearly indicate that the white tigers are being selectively inbred within homozygous recessive individuals. It is quite, obvious, therefore that the entire world doesn’t have a single white tiger that could be introduced in its original habitat. The only way to do it is very long and tedious and would require the services of expert geneticists. If the white tigers are to be introduced in the wild a very-long term plan needs to be visualized and implemented. A thorough screening of the genomes of white tigers available in the zoos for selection of suitable ones for a long term breeding programme with orange coat tigers .The third or fourth generation white offspring may be screened for preponderance or absence of recessive alleles. From among the best of those individuals, with less number of deleterious alleles, may be marked for introduction. Any attempt to do it otherwise would be wrong and futile. I am against half-cooked plans and just do it tomorrow attitude. 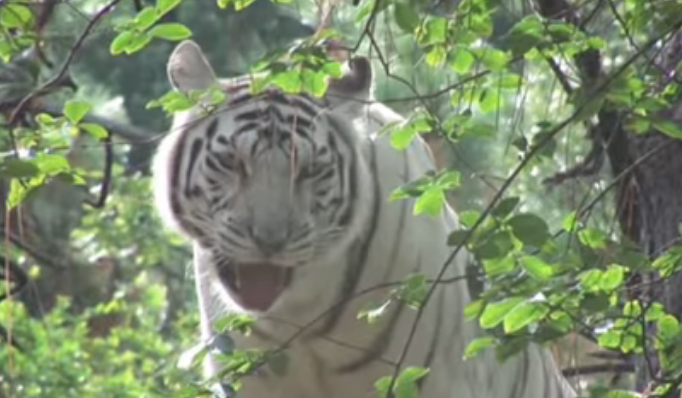 I have also a feeling that the biggest motivation for wilding of the zoo bred white tiger emanates from a misplaced hope that white tigers in the wild would bring in more tourists and more profits. There is nothing wrong in having such hopes but I fear that with the white tigers we have today in our zoos or any other zoo, an introduction programme would fail as animals would not survive in a free ranging state for long, besides these animals may expose the resident tigers to an array of diseases.